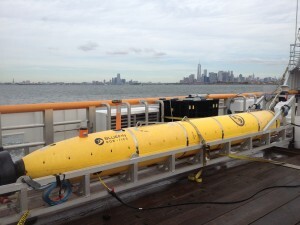 Bluefin Robotics and the Naval Research Laboratory recently sent a long-endurance unmanned underwater vehicle from Boston to New York, a trip that took more than 100 hours, the groups said today. The mission was completed by the Naval Research Lab’s Reliant “Heavyweight” UUV, an advanced version of the Bluefin-21 that, when loaded with a low-frequency broadband sonar payload, is also the prototype for the U.S. Navy’s Knifefish minehunter system. The multi-day endurance test was part of a series to research UUV technology for the U.S. Navy funded by the Office of Naval Research. 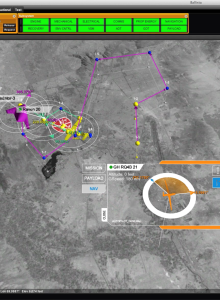 It was designed to showcase a high-capacity energy configuration and at the same time uncover challenges to significantly extending UUV endurance. The UUV was deployed outside Boston Harbor and traveled autonomously at 10 meters of water depth and an average speed of 2.5 knots, resurfacing every 20 kilometers for GPS navigation updates. According to the groups, after 109 hours the Reliant reached New York Harbor with 10 percent of its battery remaining.